As a proud ex-Sydneysider, who grew up at iconic Bondi Beach, I am well qualified to let you know what goes down in Sydney in April. multicultural. If you are looking for accommodation in Sydney, we recommend Fraser Suites. Its natural beauty, evident by its beaches, Harbour and parks are second to none. 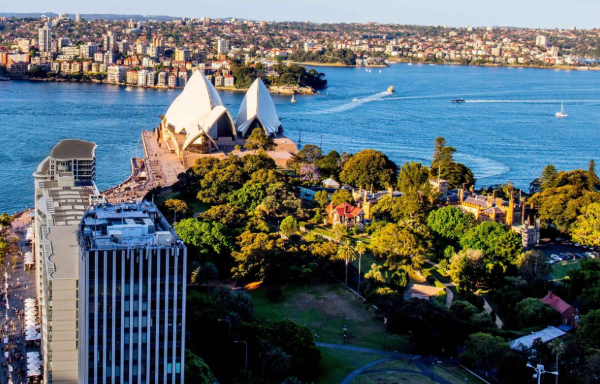 Its iconic attractions are known worldwide; the Sydney Opera House, Sydney Harbour Bridge and Botanical Gardens are well visited and have been landmarks for the city. The New Year’s Eve fireworks are recognised as the world’s best and bring visitors from all around the world. Sure summer is over but that doesn’t mean Sydney sleeps. April encompasses the Easter holiday period., and there are so many interesting things to do. The iconic Sydney Easter show is on, where “country comes to the city” and city siders can experience life out west. There are also numerous arts and cultural festivals one can attend. These include the Sydney Writer’s Festival, where notables in the literary field come and speak for a week, offering insight and advice. The Sydney Comedy Festival brings “budding” and known comedians together to appreciative audiences. Having been to a couple, it really is an enjoyable experience. Also not to be missed are music legends, Iggy Pop and Norah Jones who play dates at the Sydney Opera House and State Theatre respectively.. Yes i know, from opposite sides of the music spectrum but equally a blast. If you are “theatre head”, then you must see “Cat on a Hot Tin Roof” at the Rosyln Packer Theatre, It stars famous Ozzie actor Hugo Weaving and definately worth a look. Sydney in April is big, bold and “ballsy”.. It is a time in Sydney, not to be missed.